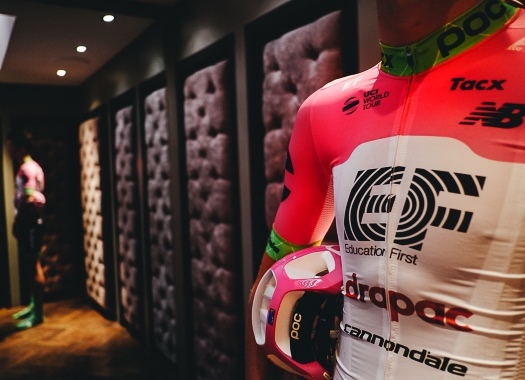 Taylor Phinney has extended his contract with EF Education First-Drapac for the 2019 season. This will be the third season of the American at the formation. Phinney had a good Spring classics 2018 season that finished with the eighth position he got at Paris-Roubaix. "I think I always had a strong passion towards Paris-Roubaix, there's just something about that race, there's a level of drama it has that doesn't exist in any other race on the calendar," he commented. "It was always the race that I looked forward to watching before I started racing it." The rider moved to the American team in 2017 after spending six seasons at BMC Racing Team. "There's no other team that I could envision myself racing for in the professional peloton," Phinney explained. "I feel like I can be honest with everyone around me and myself and there's not a ton of expectations thrown on you, on what you need to be and what you need to look like, and how you need to act. They just let you explore yourself and let you be who you want to be. "The team obviously want to win races and do well and that's a priority, but there's not this cookie cutter that you need to be a certain way, or ride your bike a certain way to be on the team, which you'll find on a lot of other programs."